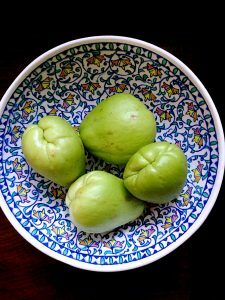 Chow-chow/chayote is from the gourd family. The flesh of this vegetable is firm but it’s easy to peel, cut and deseed. There isn’t much in the way of taste to this vegetable so takes in flavour very well. 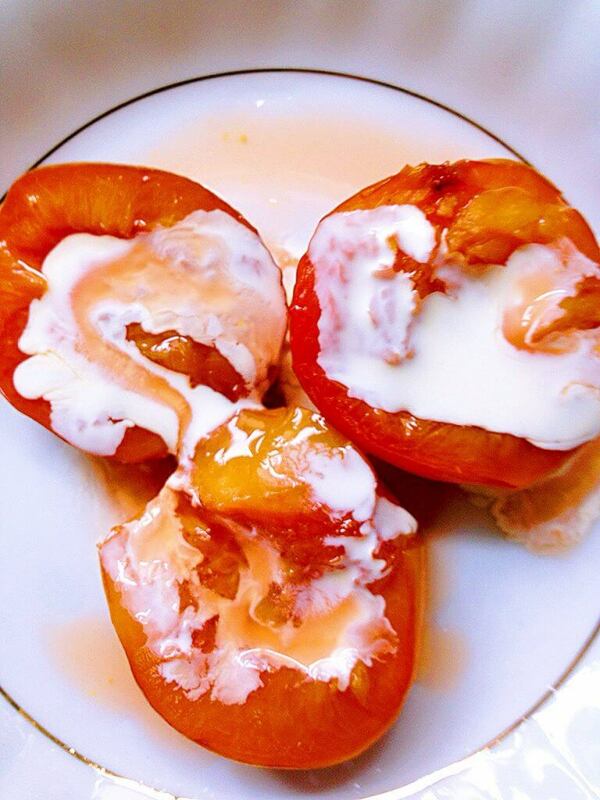 However, it adds texture and mellowness to an otherwise rich cake. It’s available in Asian grocery shops. 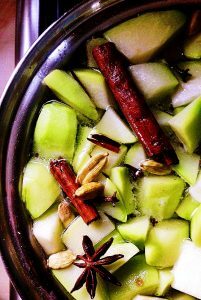 You will need to make this preserve some weeks in advance of making the Sri Lankan Christmas or Love Cake. In a pan, bring the water, sugar and spices to a boil until the sugar has dissolved. Reduce the heat and once the syrup is simmering add the chow chow/chayote. 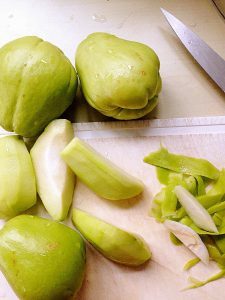 Cook until the chow chow/chayote is soft but firm and leave to cool. Sterilise and prepare your preserving jars, spoon the chow chow/chayote in, close and seal the lids. Label and date the jars and store in a cool and dark place. Three or four weeks later, your preserve is ready for use.